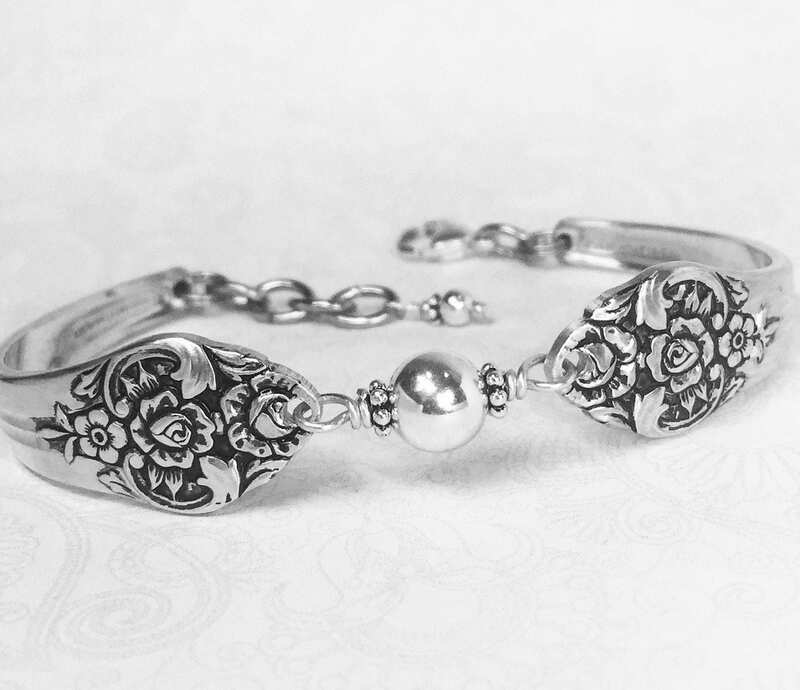 I created this ornate spoon bracelet from two silver plated vintage tablespoons. The pattern is the bold and beautiful 'Plantation' from 1948. This bracelet is simply embellished with one 8mm sterling silver bead; perched between antiqued daisy spacer beads and twists of sterling silver wire. A fun and unique accessory that can be worn with virtually any style of attire; day or night. 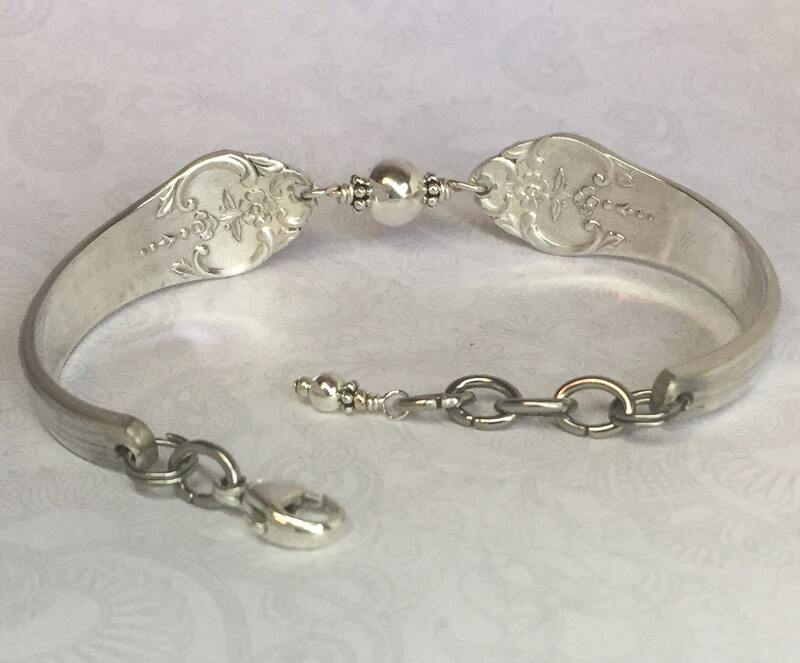 The spoon bracelet is finished with an Italian sterling silver lobster clasp with extra rings for an adjustable fit, and they're topped off with a smaller sterling silver bead at the end. This charming piece of spoon jewelry will arrive in a festive organza gift bag, along with a Spoonfest Jewelry story card, and details of the spoons. Plus, you'll also receive a complimentary bracelet helper tool to make putting your bracelet on super easy. Arrived quickly and packaged very well! This bracelet is very beautiful and it fits perfectly! I love wearing it! Thank you for making and selling this gorgeous bracelet! Also thank you for the bracelet helper which is so helpful for putting on this bracelet! 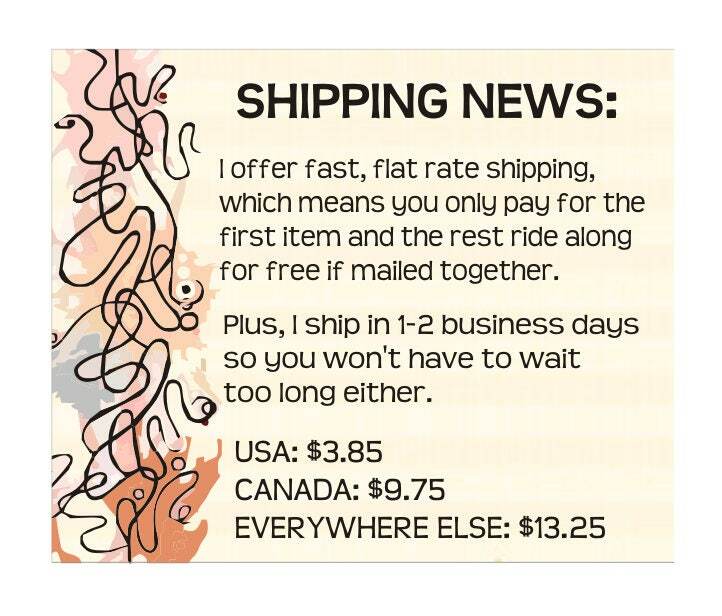 I definitely recommend this very talented and awesome seller! 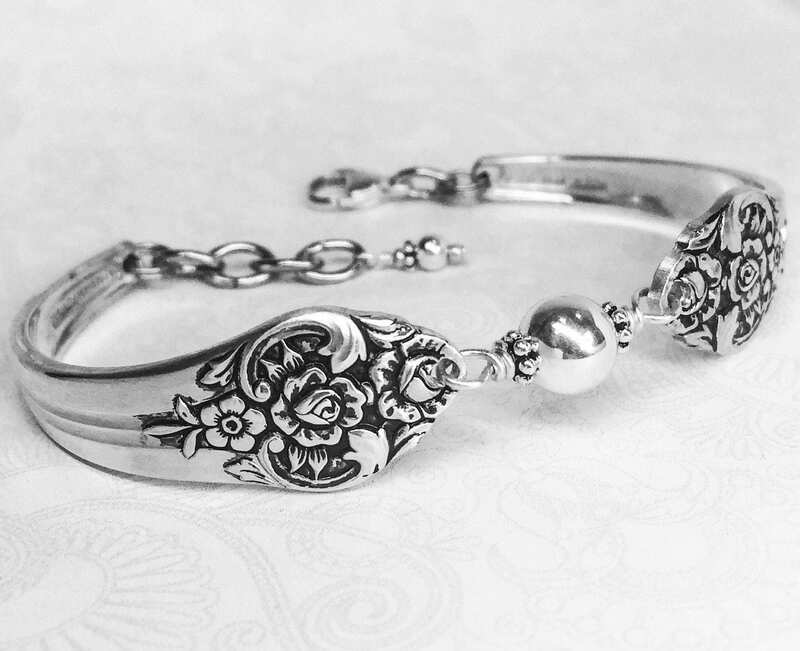 A beautiful bracelet I bought for my Mom. It was sized to the correct length and sent super quick! Item was received very quickly. I bought this as a birthday gift. My mom, who is not computer or internet savvy, got this website from a friend who bought a similar bracelet, picked this one out, and said she'd think about it. So this will be a surprise gift. The sender communicates very well, and is super nice in her emails. So many beautiful choices of jewelry. Love this bracelet! Very well made, I would definitely purchase again. Communication was superb as was the customer service. 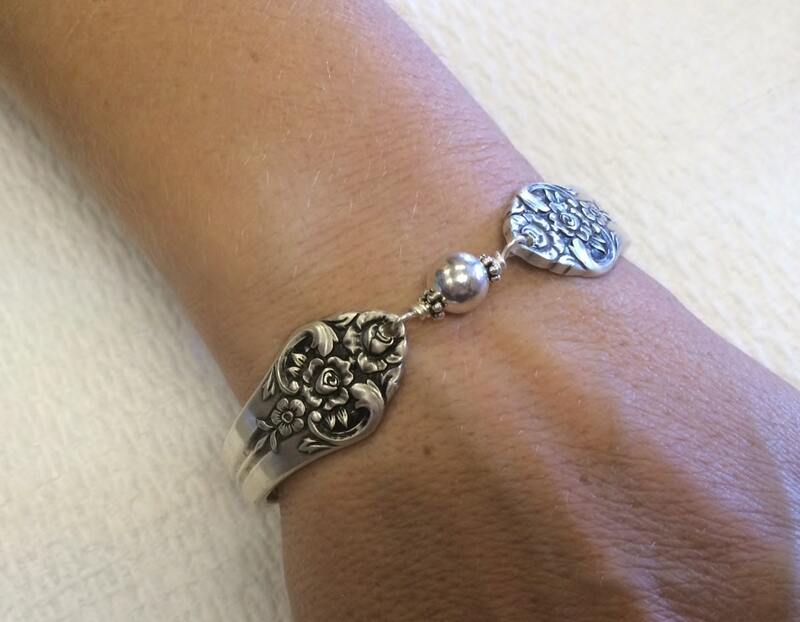 I love my new spoon bracelet - custom ordered with a Lavender Pearl. This is my 3rd spoon bracelet from this shop and they always fits perfectly and very comfortable to wear. Anything from Spoonfest Jewelry is Always highest quality!